Home / great finds / recommendations / review / The new Capella Cony S230T-13: What do you look for in a stroller? The new Capella Cony S230T-13: What do you look for in a stroller? Just like how some men love their cars, I have a thing for strollers. They must first look pretty. If they don't pass the "look" test, then they don't come close to being on my list for consideration. Confession: We have two strollers at home. Our first being an umbrella fold one that weighs about 7kg. It is a great, sturdy pram. Liked it, still do. However, as I tend to bring J out on my own pretty often, I psyched Hwa into getting me a light weight one so I can handle the boy, carry the diaper bag, get in and out of the cab plus open and close the stroller all on my own. We loved the light weight one a lot... and it has followed us everywhere, including to our first family trip overseas. Thankfully, I was presented with a swanky new Capella stroller just when I was itching to get another one, much to the relief of the man. 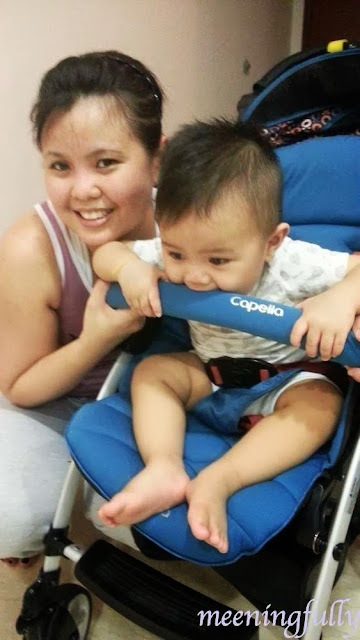 So here's a shoutout to the good people at TaiMe Pte Ltd, sole distributor of Capella Strollers in Singapore for giving me and 9 other mummies the opportunity to try the new Capella Cony S230T-13 stroller. The new cony comes in 4 vibrant colours complemented by a new print motif. Paired with their sleek curved frames, this baby is actually very pleasing to the eye. I picked the dark blue for J because he already has a lot of things in orange and red. Blue would be something nice for this boisterous boy of mine. I like how the motifs presents a nice contrast to the solid colours of the stroller. 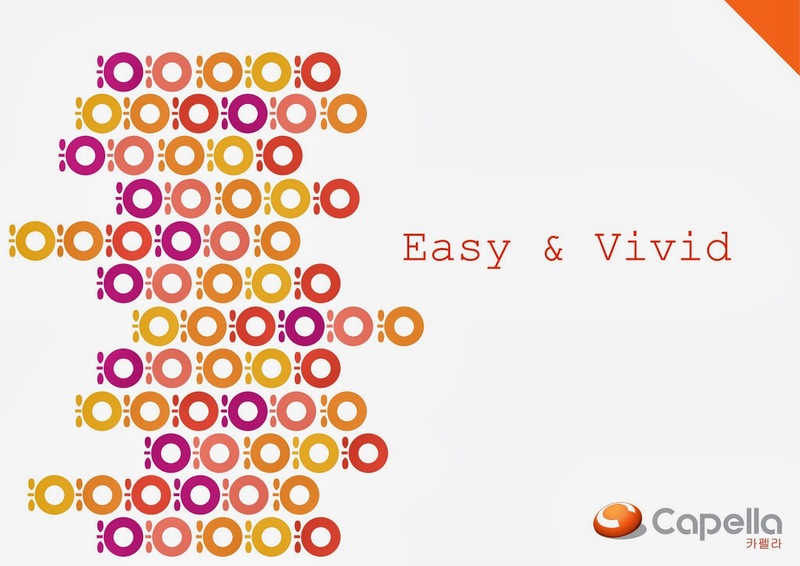 With the growth of the baby in mind, the new cony is actually made wider. 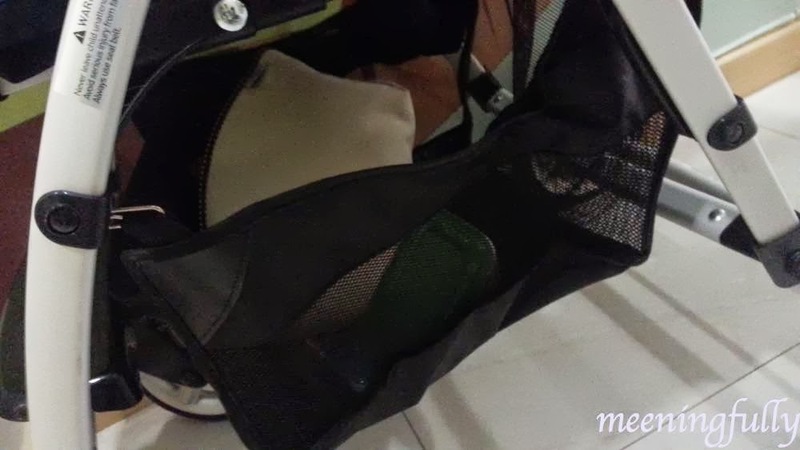 This means, as the baby grows, they get more space to move within the stroller. This is excellent for my huge J, and he is obviously enjoying his new ride. The comfort factor is enhanced by the thicker and softer padding used , which is able to provide extra support for the baby. J uses the stroller without the newborn cushion insert, yet, it is still very soft to sit on. J: Can you tell I am really enjoying my ride? J: I have enough space to pose and look good! I hope some girl notices me! While the new cony weighs in at 7.3kg, bringing it out alone with J was not as difficult as I thought. Their one hand quick fold works easier than the light weight stroller I have. 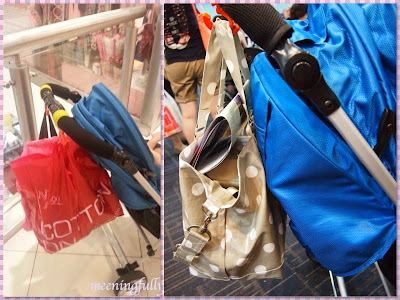 I cannot lift the folded stroller with one hand and put it in the cab (if I am out commuting alone with the boy), but, I can quickly fold it up for the taxi uncle to place it in the boot.... all these while carrying my 11kg baby. The one hand quick fold button. Press and pull, the stroller is open. 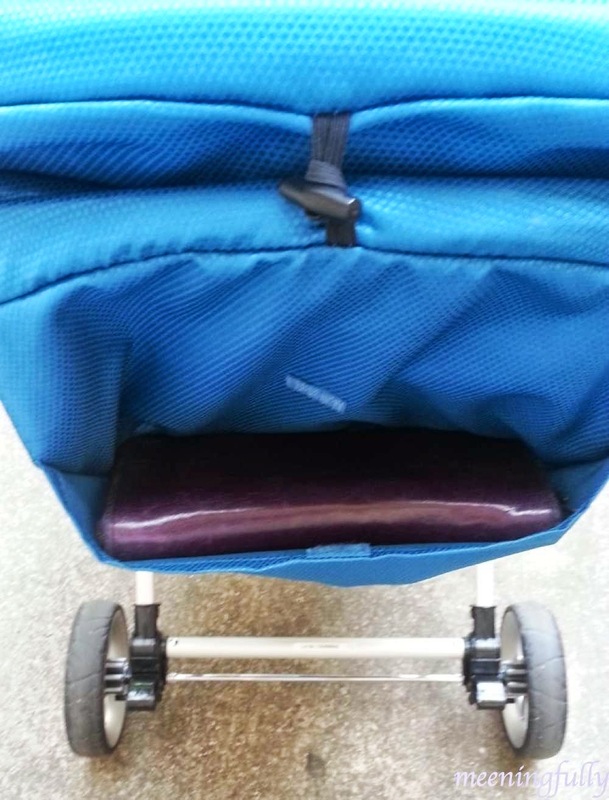 On top of being wider than most strollers, it also has wider and bigger wheels. It even packs in a 0.3G shock absorber! What this means is, it provides greater stability especially when we go around bends and onto different terrains. J does not seem affected by the bumpy ride when we took it out on our condo's driveway. On my first jog out with him, he came back looking unfazed by what had just happened, and was happily trying to take a bite off the stroller. This is perfect since we are preparing to run in the Shape Stroller Run come 7 July. However, being wider means it is sometimes hard to maneuver around tight spaces. I realised I was not able to push him into the Giant near my place. At the other supermarkets I frequent, I also found it hard to squeeze past the crowd. That is really a bummer. J: Huh?! You mean we just came back from a jog? I did not feel anything except I am hungry. Hmmmmmm... this is so soft and yummy! One of the things my stroller must do is allow me to load it with J's diaper bag (which is not light) as well as other shopping bags. A lot of strollers allow for weight to be loaded when the child is sitting in it. 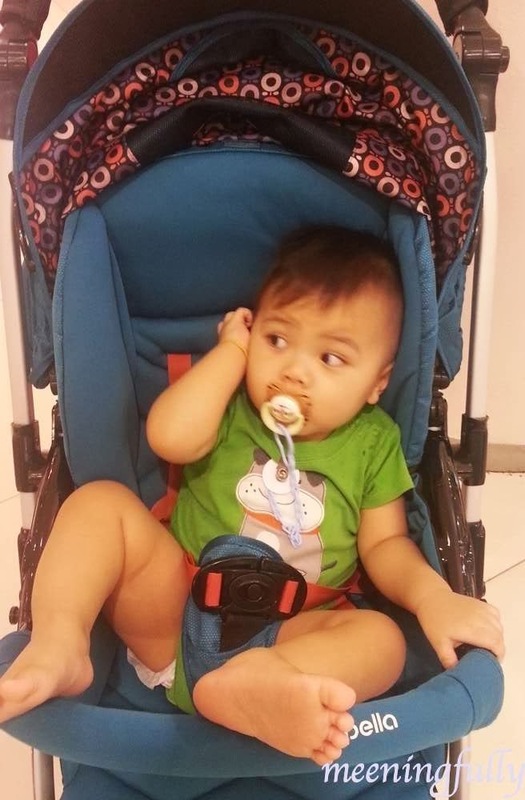 However, most parents would experience the stroller falling backwards when the child is taken out. The new cony did not! That's good news! So now, I can put J in the car first before settling the bag and the stroller. It used to be bags, baby then stroller. The stroller was able to balance with the extra load without the child sitting in it is mainly due to the larger back wheels. A huge basket! I didn't have this luxury with my other two strollers. In fact, they were so small, I hardly used them. So the large basket on this new cony is a bonus for me. I can now go on short outings without needing to bring a diaper bag. The canopy comes with a rather deep pocket. While it seems like a good place to put mummy things like a wallet, I feel it is not "user-friendly". What goes in there cannot be too heavy else it will pull the canopy backwards. So, this is really a nice to have. Pretty to look at, but not all that useful. Another must have is a full canopy. 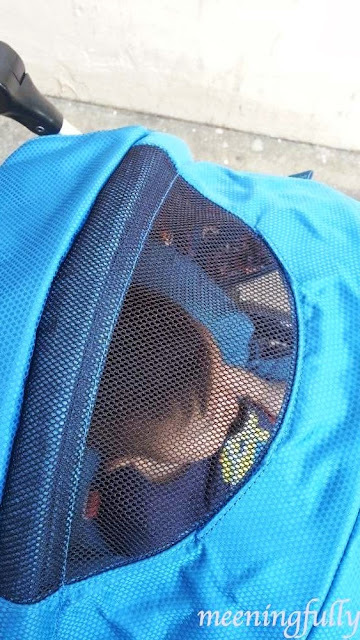 It helps to get the boy to nap when we are out and about. J gets very excited with things that goes on around him. So when we are not at home, he either needs to be constraint in a moving vehicle, with as little stimulation as possible to fall asleep. And, a moving vehicle here includes a dark and moving stroller. The little extra that the new cony has is the magnetic viewing mesh window. As with most other strollers, you can only open / close the viewing window with either buttons or velcro, which can very cumbersome and sometimes "noisy". So it is a bonus when the same action can be done "silently" with magnets. However, I feel that the canopy for the new cony seems be in the way when I try to recline the seat. As with most strollers, the new cony has 3 levels of recline. Whenever I try to bring it up or down, it takes a while to ensure it is secured properly. It takes a bit of fiddling to eventually hear the "click", indicating the seat is in place. Viewing window open simply by flipping the cover. J; This is a nice and comfy position for me to have my milk. Adjustable handles are a plus. The hubs and I are not very much different in height. So, this feature is a nice to have. Although, I must say, it does help when i take the stroller and the boy out for jogs. When i am strolling...i very much prefer to have the handles at a lower level which is tiring for the arms when I jog. Putting them slightly higher relieves the pressure on the arms a little. I have yet to find an optimum position, but guess I will need to figure that out before the Shape Run. Love it! 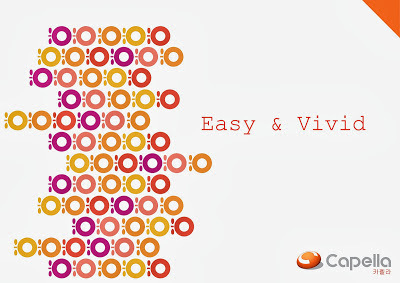 It does take a little getting used as some of the very basic functions which I am used to work slightly differently on the new cony. But, on the whole, I like the new cony, and I believe the boy does too! 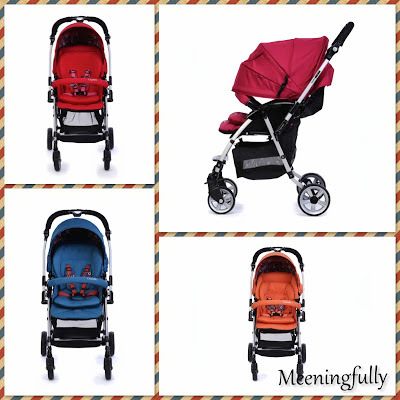 So, if you are looking for a stroller, why not have a look at the new Capella Cony S230-13! Did I mention this is part of a travel system where a baby car seat can be attached to it? Makes for a stroller that can last you from the time your child is born till he is up to about 48 months old. The Capella Cony S230-13 is available at major departmental stores (Isetan, Metro, John Little, Robinsons, BHG, OG, Kiddy Palace, Cheri Kids, NTUC Xtra AMK), ToysR'Us, baby specialty stores and selected online baby retailers. Retailing at S$399 (Usual Price: S$539). For more information, visit the Capella Strollers' FB Page or www.taime.com.sg. 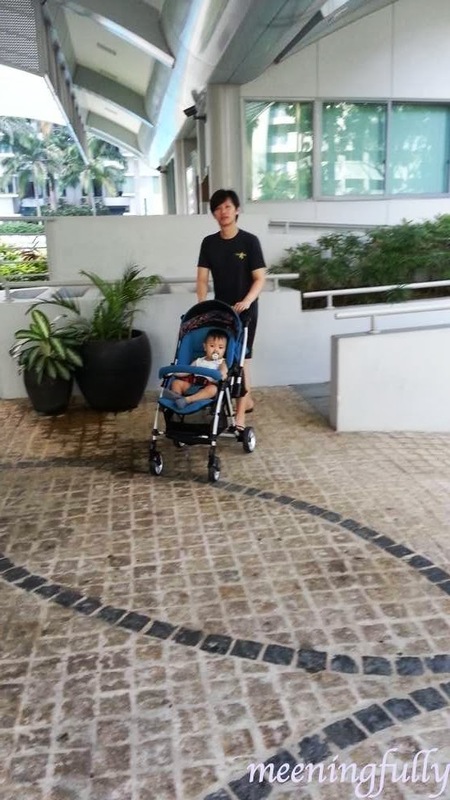 Disclaimer: I was gifted with a Capella Cony S230-13 stroller and reimbursed to take part in the Shape Stroller Run. No other forms of compensation was received. All opinions expressed in this post is 100% my own.